My recent trip to Italy has fueled a cooking frenzy in my household. While I’ve always loved to cook, something about creating homemade sauces and hand-rolled pastas based on authentic Italian recipes has unleashed my inner Iron Chef. What I love most about cooking is that by following a specific recipe, you can almost always predict the culinary outcome. Of course, there’s always a chance that the bread may fall flat or the bruschetta might turn out soggy. But 9 times out of 10, accurate predications can be made simply by following proven, time-tested methods. It’s the same with Predictive Analytics and your business. 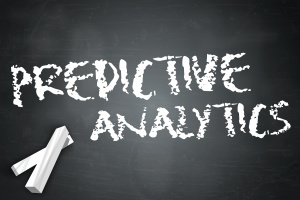 So what is Predictive Analytics, anyway? It’s simply a fancy term for the ability to predict customer behavior using data. Specifically, Predictive Analytics can be used to accurately predict when, where, and why customers purchase certain products and services. Predictive Analytics has been used for decades to determine everything from life insurance policies to hiring practices. Potential life insurance customers are evaluated based on a preset list of behaviors, health conditions, and their individual health history. Over time, insurance companies found that these data sets most accurately predict a person’s likelihood of costing the insurance company money. In much the same way, hiring managers recruit new talent by looking at similar sets of data. This data, such as work history, references, and credit scores, has the ability to predict a candidate’s likelihood of success in a particular position. When creating marketing strategies to increase sales and win new customers, it’s crucial to target the right customer segments at the right time. By not only looking at the data, but by incorporating said data into your ongoing marketing strategy. The truth is that most marketing teams practice what I like to call “intuitive marketing.” Instead of looking at the data, they create strategies using what basically amounts to guesswork. It’s just like tossing some tomatoes and spices in a bowl and hoping it turns into marinara sauce. Predictive Analytics, on the other hand, gives you the ability to predict customer buying habits based on their past behavior and their current physical, psychological, and geographical profile. This method takes into account demographic information, purchase history, online behavior, and a variety of other data points that you may already have on your customers or may append to your customer records to enhance prediction. It then uses that information not to simply explain past behavior, but to predict future behavior. When you’re one step ahead of your customers, you can give them exactly what they want, when they want it. Not only will Predictive Analytics help you increase sales; it will cut marketing costs significantly by allowing you to spend solely on strategies that actually work. And just like a perfectly prepped pasta dish, there’s nothing better than a recipe – or a marketing plan – that comes together exactly as you’d planned. Do you use Predictive Analytics in your business? How do you use data to predict customer behavior? And here is a recipe for Focaccia bread that will ‘make your brains fall out’ from Anne Burrell of FoodNetwork fame.